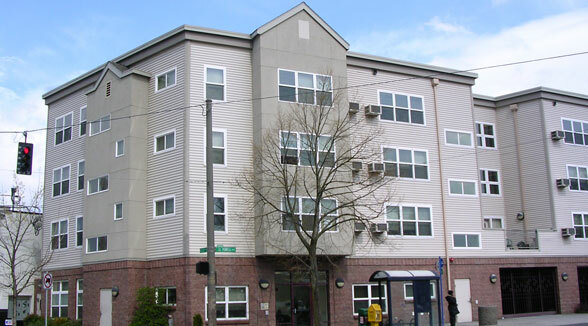 Powell Boulevard Apartments are located in inner SE Portland. This housing has studio, one and two bedroom apartments. Located in the desirable Brooklyn neighborhood, you are surrounded by parks, easy access to transportation and the eclectic Clinton Street neighborhood is close by. This building has HUD subsidized units. Learn more about subsidized units. Breathe easy. Smoking is not allowed in any REACH property. Transit options within one block: Bus Routes 9,66,and 10. SE 17th and Rhine St. Max Station Orange Line. Rated “very walkable” with a WalkScore of 85.